Do you have a driveway, patio, walkway or deck that needs a facelift? If your answer is yes, Pristine Paver Solutions has a paving product designed to complement even the most discerning design tastes. We can create the perfect outdoor living space so your home has style and decades of durability for all your family’s needs. We can transform walkways, patios, pool decks and driveways into works of art with decorative paving stones. We provide an almost unlimited variety of styles, finishes, colors and designs. Pavers come in many different materials, including natural stone, porcelain, concrete and marble. We are happy to provide you with our free design consultation and estimate service. Glass is an ever-changing medium to work in. It is where traditional and technology all blend together to create a great opportunity for design. The beauty of our glass tile offerings have been described by our customers as radiant, luminescent and shimmering. From earthy and organic to clean and crisp, glass tile offers a depth of color and reflective quality not seen in any other material. Porcelain tile gives you a great look with exceptional durability. Porcelain tile works great for walls, interior floors and outdoor decks or patios. Travertine is one of the several stones that are used for outdoor as well as indoor applications. It is sometimes knowns as travertine limestone or travertine marble. While they are the same stone, technically travertine is a form of the limestone, not the marble. We believe our primary responsibility to our customers is to supply the best quality travertine tiles for indoor and travertine pavers for outdoor —at fair prices and with the highest level of service. Natural stone refers to a variety of different materials found in nature including slate, granite, limestone, travertine and marble. Because these stones are formed by the earth, each piece is unique, making every application one-of-a-kind. If you’re going for a natural look, check out natural stone tile. Natural stone can also be used both indoors and outdoors depending on the stone selected. Natural Stone products are created to emphasize natural beauty, providing your area with a remarkable appearance. The concept of using pieces of stone or brick that are cut to fit against each other isn't a new one. Interlocking stones and bricks were used in early civilizations such as the Roman Empire for quickly establishing affordable, durable, long lasting and virtually maintenance-free roadways and pathways. While the idea itself isn't new, the technology has come a long way. 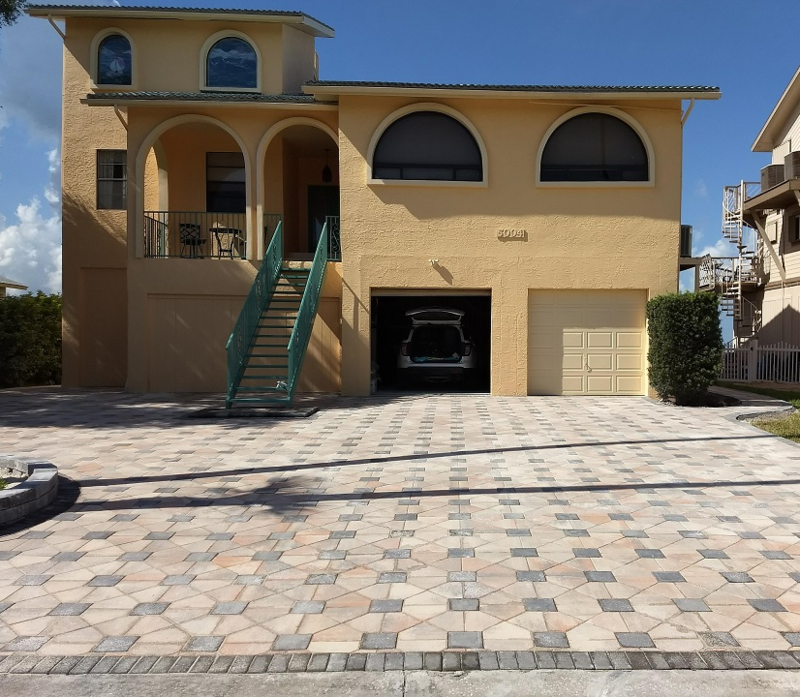 Interlocking pavers are even more affordable today due to more efficient production techniques and they're available in a wide variety of colors, textures and patterns that give rise to virtually limitless creative designs and combinations. Interlocking pavers are an incredibly practical surface in a lot of ways but that's not the only reason people have them installed. The designs that be can be achieved with pavers are breathtaking. They can be a surprisingly tasteful and stylish addition to any home, and instantly push the beauty of your household into a league of its own. Ask our friendly staff to show you how a beautiful walkway, driveway or deck area could compliment your yard. 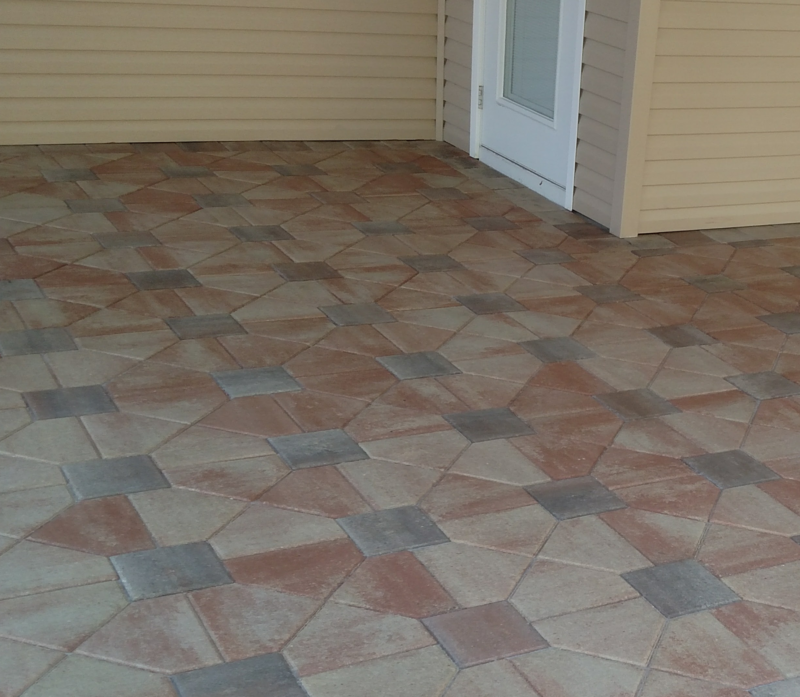 It's easy to see that pavers can be a beautiful addition to your home. They are also affordable, durable, and easy to maintain.